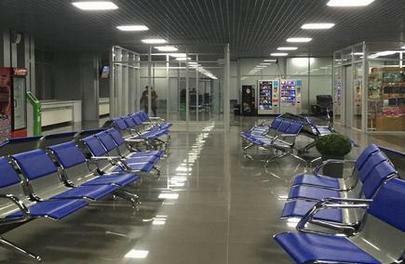 Kadala International Airport (HTA, managed by Novaport Holding), located in the city of Chita in Russia’s East Siberia, has announced that its renovated international terminal is now fully operational. The first flight from the new terminal, operated by Azur Air, has already taken off for Vietnam. During the renovation operations, the terminal’s floor space as expanded by over 1,000 sq.m to 2,344 sq.m to hold more passenger service and waiting areas; check-in counters and baggage-handling equipment were also upgraded in the process. The terminal can now service 200 passengers per hour, but may be further expanded in the future. The domestic airline terminal was renovated and similarly expanded in 2014. The airport is certified to service Airbus A320, Boeing 737, Antonov An-24, Ilyushin Il-76, and Tupolev Tu-204 aircraft. The runway, which measures 2,800 by 56 m, accommodates 10 aircraft movements per hour. The airport is located 14 km away from Kadala, and is included in Russia’s list of federal significance airports. It serviced 330,000 passengers in 2014; the figure is expected to grow 11% to 367,000 passengers in 2015. Novaport forecasts that Chita’s traffic will be growing at an annual rate of 5% starting in 2016, to reach 446,000 passengers by 2019.